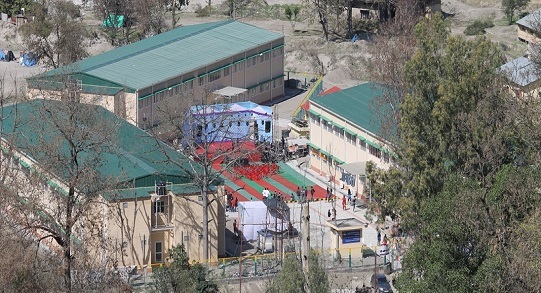 National Institute of Technology, Uttarakhand is one of the ten newly sanctioned NITs by the Government of India under the 11th Five year Plan. Applications are invited for faculty positions at NIT Uttarakhand at the levels of Professor, Associate Professor and Assistant Professor in the disciplines of Electrical Engg, Electronics and Communication Engg, Computer Engg, Mechanical Engg, Physics, Chemistry, Mathematics and Management from Indian nationals possessing excellent academic background, commitment to quality teaching, potential for carrying out outstanding research and an inclination towards institutional development. Interested candidates may apply in the prescribed application form, which can be downloaded from the website. Campus: National Institute of Technology, Uttarakhand is one of the ten newly sanctioned NITs by the Government of India under the 11th Five year Plan. 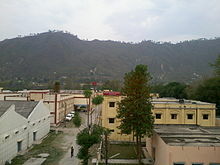 Applications are invited for faculty positions at NIT Uttarakhand at the levels of Professor, Associate Professor and Assistant Professor in the disciplines of Electrical Engg, Electronics and Communication Engg, Computer Engg, Mechanical Engg, Physics, Chemistry, Mathematics and Management from Indian nationals possessing excellent academic background, commitment to quality teaching, potential for carrying out outstanding research and an inclination towards institutional development. Interested candidates may apply in the prescribed application form, which can be downloaded from the website. Applications forms completed in all respects along with demand draft of Rs 300/- should reach the office of the Director, National Institute of Technology, Kurukshetra (Haryana)-136119 on or before Dec 03, 2010.